How is a great time to reserve your Winter Caribbean Cruise. 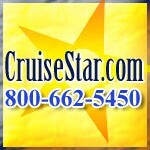 Save up to 50 percent off with Princess Cruises! Now is the time to book your 2016 Alaska cruise or tour. Save up to 85 percent off!